"Our study shows that there have to be other ways we can follow the impact of legalization on the adolescent population," Wang said. "We know that nationwide, marijuana is the most abused drug in the adolescent age group, and there's been a decline in their perception of risk for marijuana use. They think it's not as risky to use it as in years prior." Eight states and the District of Columbia allow recreational marijuana use. Colorado approved commercialization of medical marijuana in 2010 and legalized recreational marijuana use in 2014. For the study, Wang and his colleagues reviewed emergency department and urgent care records for 13- to 21-year-olds treated between January 2005 and June 2015. The researchers looked for visits where the patient either had a diagnostic code related to marijuana use or a positive urine screen showing pot in their system. 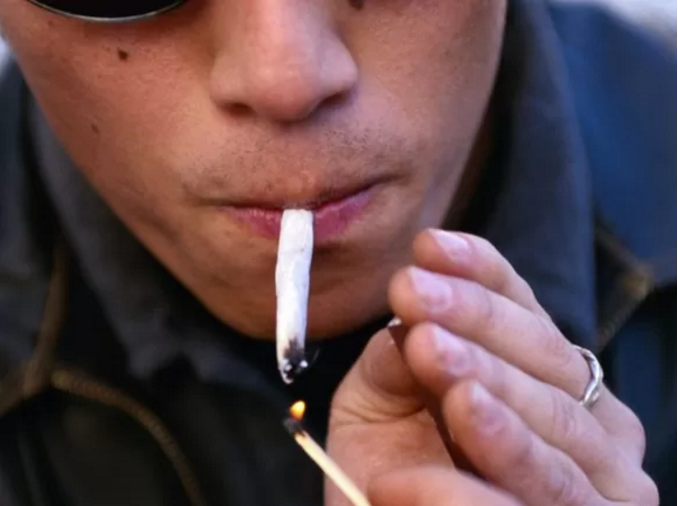 The rate of emergency department and urgent care visits by stoned teenagers more than doubled -- from 1.7 per 1,000 patients in 2009 to 4 per 1,000 in 2015, said Wang. Teenagers with symptoms of mental illness accounted for two-thirds of the 3,443 marijuana-related visits detected by the researchers. In addition, more than half of the teenagers also had positive urine tests for other drugs, according to the report. Ethanol, amphetamines, benzodiazepines, opiates and cocaine were most commonly detected, the researchers said. According to Sean Clarkin of the Partnership for Drug-Free Kids, "That raises the question of what landed them in the ER. Was it the marijuana, or was it one of these other drugs?" Clarkin is the director of strategy and programs at the nonprofit organization. Wang agreed that his study does not show that pot caused these kids to need emergency care. "All it is saying is we are seeing more teenagers coming into the ER or urgent care who are being diagnosed with cannabis abuse or have a urine drug screen positive for marijuana," Wang said. The increase also could be "the result of increased awareness and an increased emphasis toward detection by hospital staff," said Paul Armentano, deputy director of NORML, an advocacy group for reform of marijuana laws. "My presumption is the latter, since both nationwide and state-specific data shows little change in youth marijuana use rates post-legalization," Armentano added. However, Clarkin said, the study does show that national surveys may overlook kids who are using pot but not necessarily smoking it. "Some of these national data sets which show a decline in teen marijuana use, it's not clear how effectively these data sets are catching the edibles, vaping, the non-traditional means of ingesting marijuana," Clarkin said. "It occurs to me that particularly among the young folks, edibles and vaping may be playing a role here." Clarkin said it can be difficult to judge dosage when eating pot-laced goodies, since the drug's effect builds slowly when ingested. Other studies have shown that people are at greater risk of an overdose with pot edibles compared to smoking marijuana, he added. The study results are scheduled for presentation May 8 at the annual meeting of the Pediatric Academic Societies in San Francisco. The findings should be considered preliminary until published in a peer-reviewed medical journal.